THREE-YEAR-OLDS are at the centre of a seismic education shift experts believe holds the key to improving lives and lifting Australia's poor global grades. 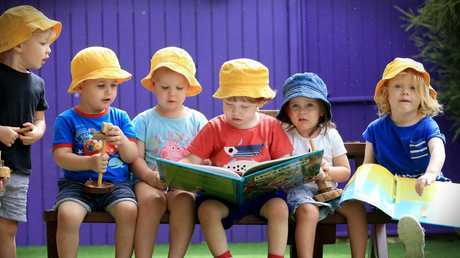 An increasing number of Independent schools and early learning centres are establishing programs badged "pre-kindy", some with lengthy waiting lists. These are aimed at providing a faster transition to an "educational setting" for younger children at a stage in life when they have the greatest capacity to grow emotionally and intellectually. Programs give kids earlier exposure to highly-qualified teachers and while remaining play-based, add more structure to traditional models that were more focused on care. Lobby groups are increasing pressure on the Federal Government to boost funding so more children can have access to the opportunity. They are led by the Early Learning Everyone Benefits campaign, a national collaboration of 27 early childhood research, service and community organisations that reach more than 100,000 families, 150,000 children and 100,000 educators. 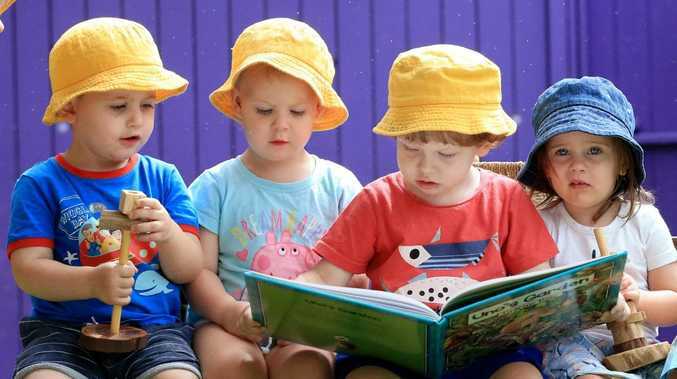 Early Childhood Australia CEO Samantha Page told The Courier-Mail that the main message of the campaign was that if children were provided with the right early learning, everyone would benefit. Is three too young to start in the classroom? Yes, let kids be kids. No, the sooner the better. It depends on what's involved. Ms Page said this was the next area of great reform and followed the lead of other developed countries in Europe and even China. Ms Page said Labor made a commitment last October to lock in a funding commitment to early education for four-year-olds and to extend it to three-year-olds by 2021. 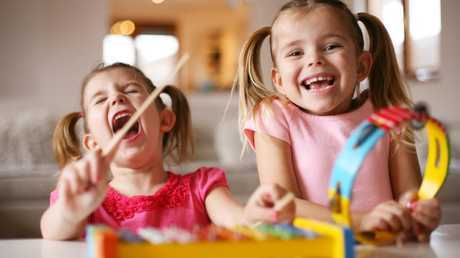 Latest statistics show 58.5 per cent of three-year-olds in Australia are enrolled in preschool programs, compared with the OECD average of 73 per cent. France, Belgium, Denmark, Norway, Israel and Spain had 95-100 per cent of children in that age group in "pre-primary education''. The age children start schooling could drop to three. Some parents are unsure about the earlier start but say they feel pressured to embrace it as schools advertise that those attending pre-kindy also get preference for kindy and prep. Others fear schools will use it to identify and recruit those capable of boosting rankings - and funding - by performing well in the new test-heavy environment. Australian Catholic University early childhood specialist, Laurien Beane, said it was crucial for the future of our children and society that greater value be placed on educating young people sooner. Ms Beane said this would follow the lead of cutting-edge Scandinavian countries that devoted huge resources to developing kids from birth to age five. "This is where they have their most qualified teachers and that's because this is the time children have the greatest capacity for learning," she said. The first five years of a child’s life are often the most critical to learning. "We invest in the 5-18 age group and it starts too late … that's why as a nation we are languishing so far behind a number of other countries. Ms Beane said that while some parents wanted pre-kindy to be about literacy and numeracy, this was not the main objective. She said for three-year-olds, the best approach was to foster curiosity, creativity, imagination and social development. "We want them to be more confident and connected as they transition to school where they will be better equipped to listen, learn and contribute," Ms Beane said. Typical activities in pre-kindy involve "welcome circles" on arrival and activities, such as dressing in costumes, to show a separation in home to school setting. Music, literature, art and languages are introduced, along with lessons about respecting others, regulating emotions, diversity and understanding cultures. Typically, children attend for two days a week for five-and-a-half hours, which includes a rest period. 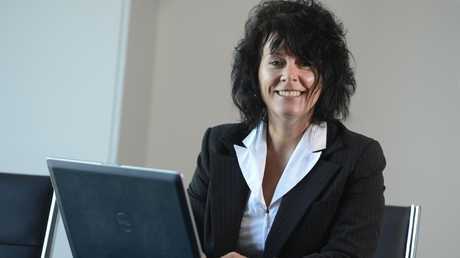 University of the Sunshine Coast senior lecturer and researcher Dr Ali Black, said international research showed children introduced to high quality education earlier were more resilient, interacted better, had fewer behavioural issues and were more likely to go to university, gain better jobs and even own their own homes. Dr Black said Australia was well behind when it came to valuing and investing in the first five years of a child's life. She said those behind the push did not want "testing coming down" from other year levels due to stress concerns, and promoted enquiry-based learning. "Whatever the program, it can't be too structured," Dr Black said. "We want the children choosing what happens next. We want it to be play-based and active … active with people and the environment." Childcare and early learning provider C&K is among those leading the way with centres, like Banyo in Brisbane's north, now having pre-kindy rooms. C&K chief Jane Bourne, also the Queensland branch president of Early Childhood Australia, called on all levels of government to show their commitment to young learners and for all government, parties and candidates to show their support by committing to funding.